Afterburner is the fastest Joomla template ever and is completely free. The theme balances speed and search engine optimisation with a full feature set. 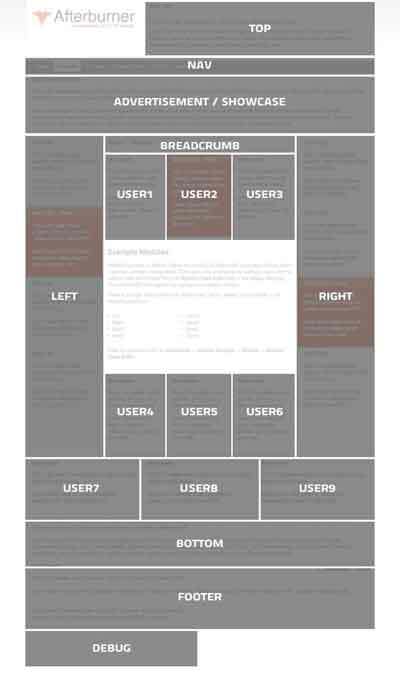 The template is based on the standard SEO layout used in club templates, and is therefore fully dynamic and collapsible. An assortment of 8 preset styles, both light and dark also accompany the template. 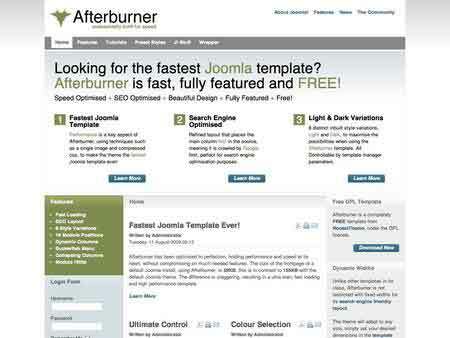 Afterburner is a Joomla 1.5 only template. Afterburner has been optimised to perfection, holding performance and speed at its heart, without compromising on much needed features. The size of the frontpage of a default Joomla install, using Afterburner, is 59KB. this is in contrast to 155KB with the default Joomla theme. 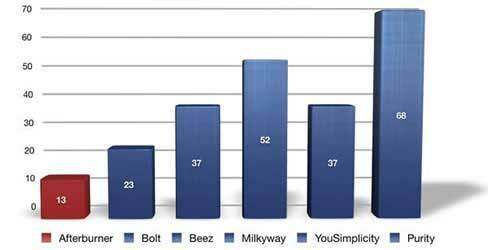 The difference is staggering, resulting in a ultra lean, fast loading and high performance template. The structure places the main content before the side columns in the code hierarchy which is beneficial for SEO purposes as your primary content is crawled first by the search engines such as Google.